The Ålfotbreen ice cap is 11 km2, and is both the westernmost and the most maritime glacier in Norway. 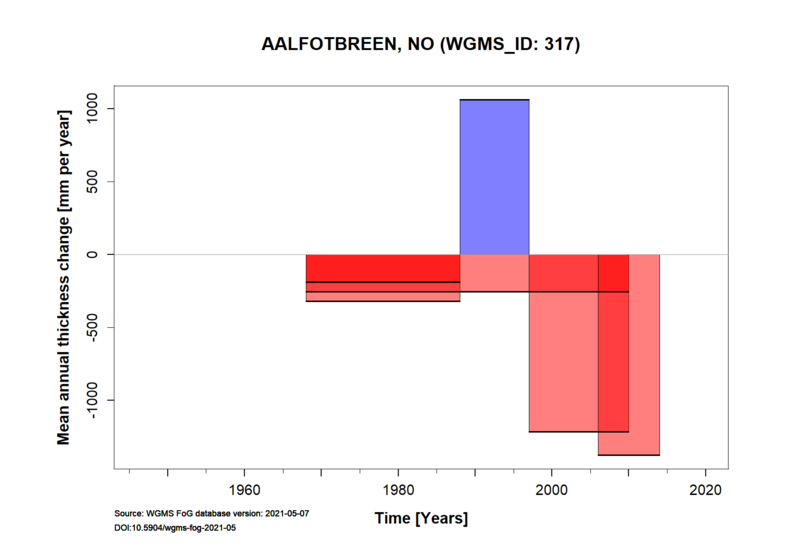 Mass balance studies are carried out on two adjacent north-facing outlets from the ice cap – un-officially named Ålfotbreen (4.0 km2 in 2010) and Hansebreen (2.8 km2 in 2010). 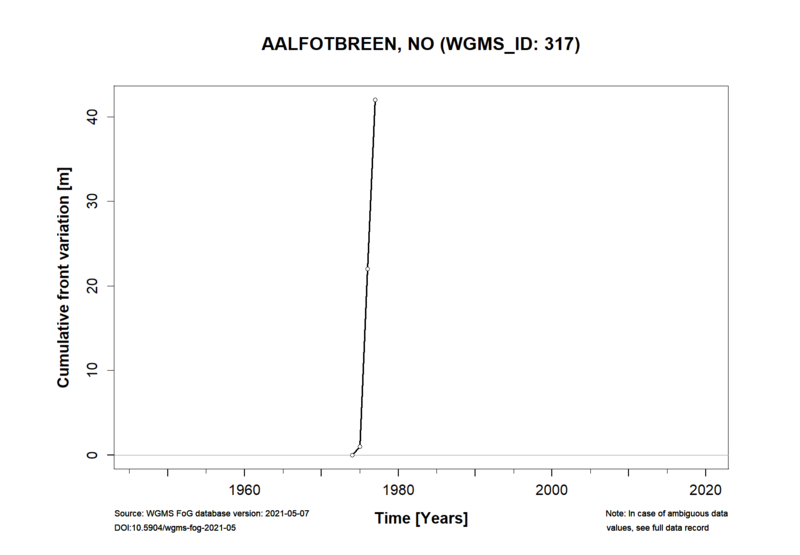 The western of these two has been the subject of mass balance investigations since 1963, and has always been reported as Ålfotbreen. Further information and references for Ålfotbreen is given on NVE’s webpage. Height min: 890 m a.s.l. Height max: 1368 m a.s.l. Andreassen, L. M., H. Elvehøy, B. Kjøllmoen, and R. V. Engeset, R. V. 2016. 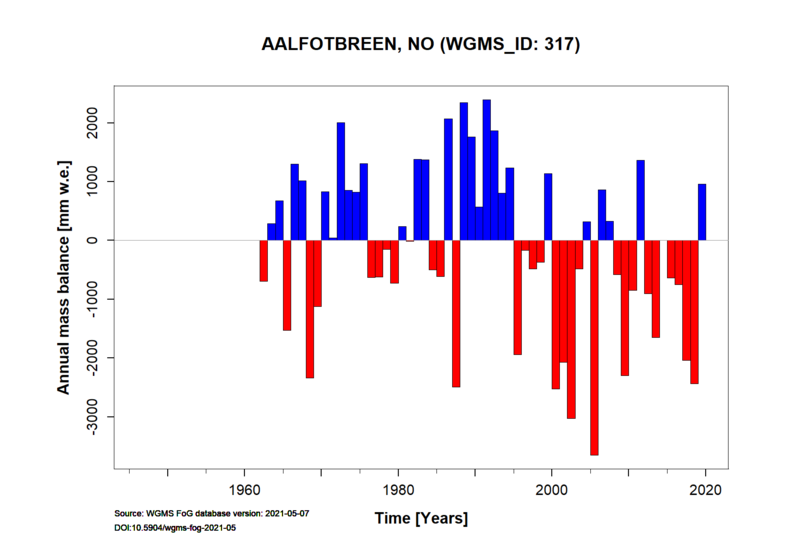 Reanalysis of long-term series of glaciological and geodetic mass balance for 10 Norwegian glaciers, The Cryosphere, 10, 535-552, doi:10.5194/tc-10-535-2016. 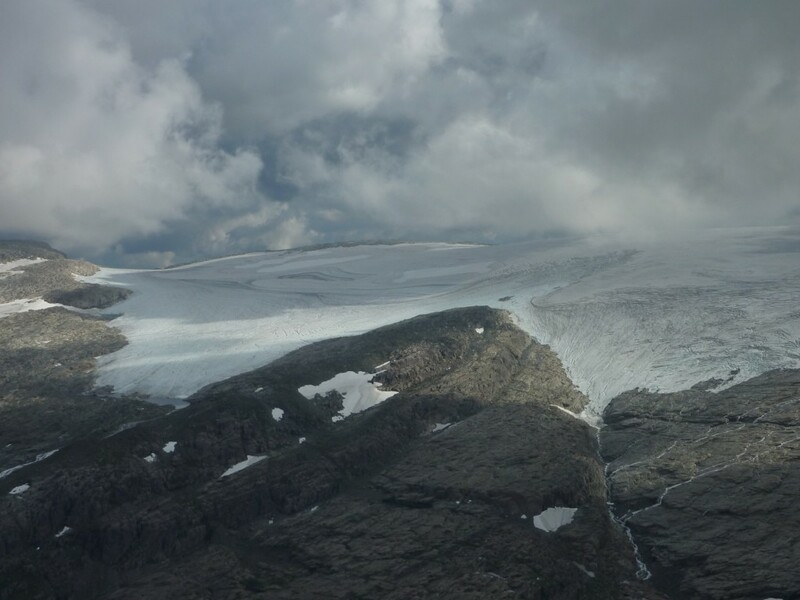 NVE’s report series Glasiologiske undersøkelser i Norge/Glaciological investigations in Norway. Norwegian Water Resources and Energy Directorate. Reports are available as pdf’s at https://www.nve.no/hydrology/glaciers/glaciological-investigations-in-norway/.